Curcumin Extract is also known as turmeric extract or curcuma, curcumin is the fat-soluble bright yellow pigment that is produced by some plants. The effects of curcumin extract are similar to most polyphenols, but is in different class by itself. Curcumin extract has powerful anti-inflammatory effects which protect against forms of cancer, and is also packed with antioxidants which stop neutralizes harmful free radical compounds. The hydrophobic nature of curcumin extract makes it poorly soluble in water. The R&D department of Herbochem has developed water-soluble curcuminoids, with the highest assay and bioavailability in the industry. Particular photosensitization characteristics of curcumin makes it viable for cancer treatments. Curcumin extract is also used in the detection of boron, and in action against cystic fibrosis. In addition to these, curcumin extract also serves as great protection against cardiovascular diseases. Curcumin extract is a principal healing agent in Ayurveda and has been recognized as a valuable ingredient for centuries. Being primarily sourced from turmeric, curcumin extract is typically found in warmer regions of the planet like India, China and South-East Asia. Curcumin first appeared in the Western consciousness in 1815 through Vogel and Pierre Joseph Pelletier. It is indeed curcumin extract that gives turmeric its gentle yellow hue. It is only over the last century that curcumin extract has been given the credit for its pharmacological properties. Traditionally, curcumin extract was used for everything from dressing wounds to constipation to a remedy for fever. These days, curcumin extract is used for Multiple sclerosis, renal ischemia, liver and lung cancers. Curcumin extract is incredibly sensitive to light, and quickly loses all colour when exposed to UV light. Curcumin extract is famously known to give out clear antibacterial activity, killing a wide spread of bacteria. Curumin extract is used as a natural alternative or supplement, and can be easily incorporated into your diet and lifestyle. 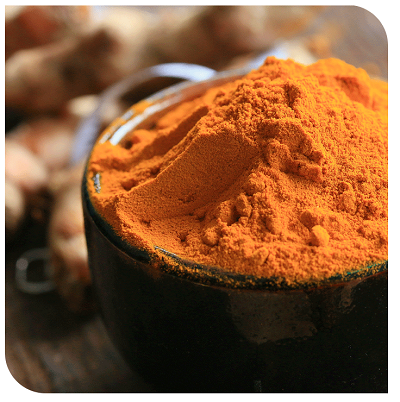 The anti-inflammatory and anti-oxidant properties of curcumin make it an essential addition to a health routine. In addition to this, curcumin extract improves brain functions and regulates the growth and spread of diseases like depression, Alzheimer’s and Parkinson’s. It is only over the last century that curcumin extracts has been given the credit for its pharmacological properties. Traditionally, curcumin extract was used for everything from dressing wounds to constipation to a remedy for fever. These days, curcumin extract is used for Multiple sclerosis, renal ischemia, liver and lung cancers. Curcumin extract is incredibly sensitive to light, and quickly loses all colour when exposed to UV light. Curcumin extract is famously known to give out clear antibacterial activity, killing a wide spread of bacteria. Curumin extract is used as a natural alternative or supplement, and can be easily incorporated into your diet and lifestyle. The anti-inflammatory and anti-oxidant properties of curcumin extracts make it an essential addition to a health routine. In addition to this, curcumin extract improves brain functions and regulates the growth and spread of diseases like depression, Alzheimer’s and Parkinson’s. Has Anti-Oxidant Property Helps improve joint support Helps in mood control Promotes tissue soothing & Healing Helps in controlling healthy cholestrol The water-soluble curcumin extract made by the R&D team of Herbochem contains Curcumin, Demethoxy Curcumin & Bis-Demethoxy, which has high bioavailability and stability. Herbochem offers Curcuminoids in two grades - 10% and 20% water soluble. If you are looking for a healthy and effective way to use this incredible health resource for yourself and your family, take a look at Herbochem’s wide range of effective products. In addition to these characteristics, curcumin extract can bring down cognitive decline which comes about with aging. The potent anti-inflammatory properties of curcumin can help protect the consumer against forms of steep cancer progression. This one benefit itself has been enough for entire generations to adopt turmeric or curcumin as a medicinal superfood! For those who are looking to live longer lives, take note - curcumin extract is known to reduce lipid and plaque levels in the arteries, hence reducing all risk of diabetes. For everyone looking for a healthy heart - curcumin might just be the ingredient you’re looking for!